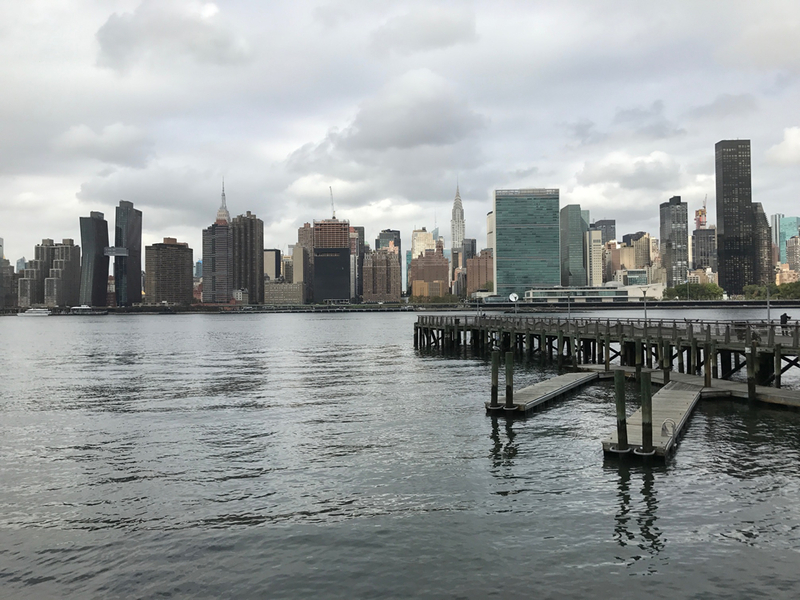 The Big Oyster Sharkfest Swim is a 1500 meter swim from the Skyport Marina (23rd & FDR) float plane dock in Manhattan across the East River to Long Island City in Queens to finish at the Gantry State Park kayak docks. 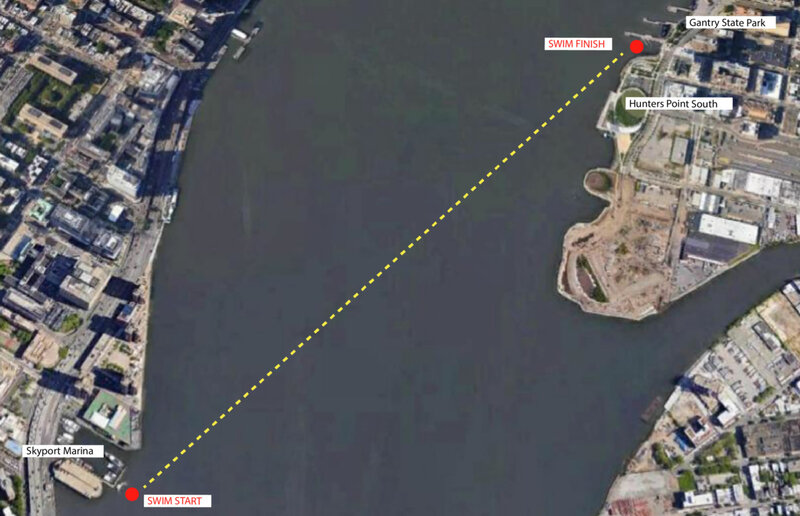 The swim is timed with the currents to make a safe crossing that will be fully supported by the NYPD Marine Unit and the appropriate safety assets. Swimmers clothing will be transported to the post event activities at the LIC Landing in Hunters Point Park South. Awards ceremony and celebration will take place here at the conclusion of the swim. There is easy access to the NYC ferry service and the #7 subway line for post event transportation. There is limited public parking in Long Island City, so spectators and friends should plan on taking the subway or the NYC ferry to the finish line area. Limited to 200 swimmers. AGE GROUP BREAKDOWN: Male and Female: 11-12, 13-14, 15-17, 18-24, 25-29, 30-34, 35-39, 40-44, 45-49, 50-54, 55-59, 60-64, 65-69, 70-74, 75-79, 80-84, 85-89, 90-94, 95-100! CANCELLATIONS: Registrations are non-refundable. 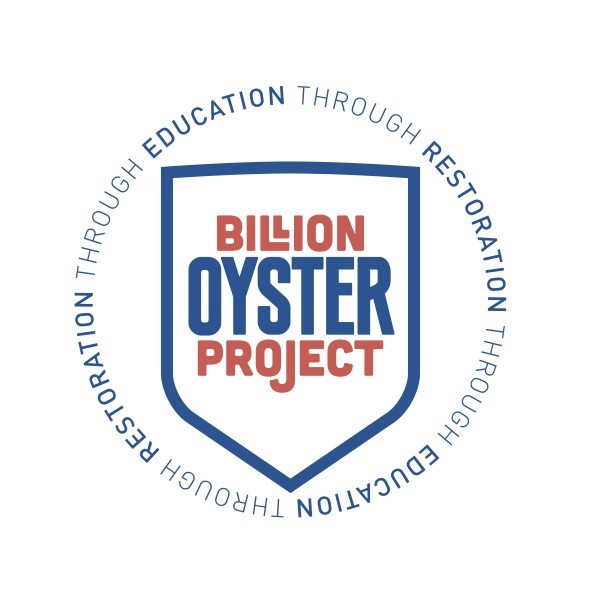 If you can no longer participate in this event, you may receive a rollover credit (minus a $35 processing fee) toward a future event as long as you let us know by June 7 2019. After that date, a doctor's note is required to receive a credit.